Kyla is a top-producing sales and marketing professional with more than 20 years of experience in maximizing sales in highly competitive markets. She founded a marketing consulting company in 2003 named Driven Sales and Marketing. In 2007, she merged her company with ASHER and was named partner. 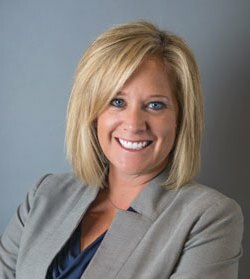 In 2010, Kyla became a Senior Facilitator/Sales Coach at ASHER, and in 2015, she expanded her speaking credentials by becoming a certified Speaker at Vistage Worldwide; the largest CEO membership organization in the world. Kyla is a graduate of the Dale Carnegie Training’s Sales Advantage, High Impact Presentations and Public Speaking Mastery courses. She also participated in the Anthony Robbins’ Business Coaching program. Kyla has trained teams internationally in China, Europe and Canada and holds a bachelor’s degree in communications and public relations from Towson University. Please contact us if your organization would like to engage Kyla for an event.